There is nothing quite like an ice cream float that screams nostalgia. As a kid my mom used to take me, when we visited her hometown, to a diner complete with a soda fountain counter. 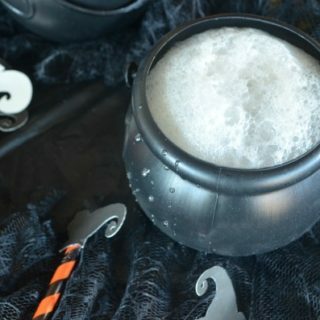 I learned early on that floats were so much more than root beer and vanilla ice cream. So when I was tasked with incorporating soda into my Halloween celebrations I decided to go with floats. In addition to the monster floats I mixed up a couple weeks ago I also created these pumpkin ginger floats. 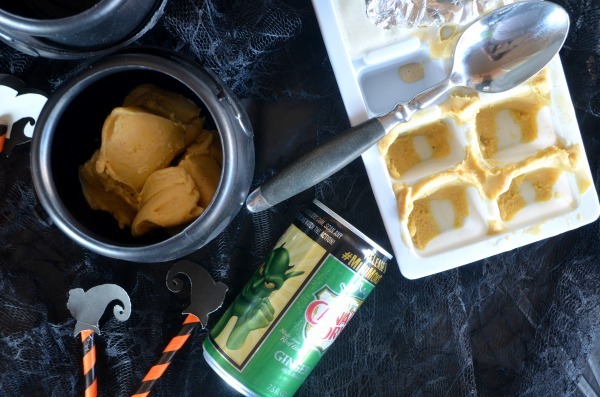 It combines a creamy semi-homemade pumpkin ice cream with ginger ale, YUM! 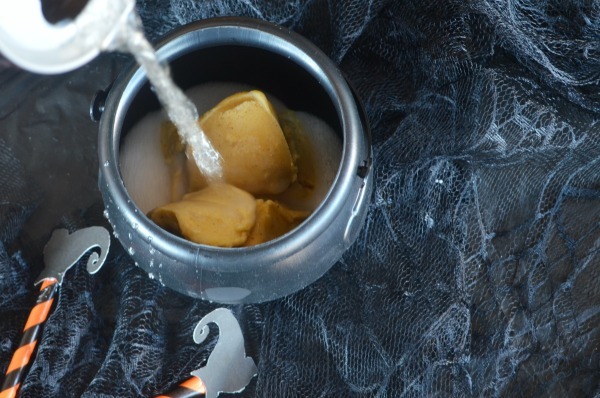 Mix up a batch of semi-homemade pumpkin ice cream (recipe below). Store in an ice cube tray for perfect portions. 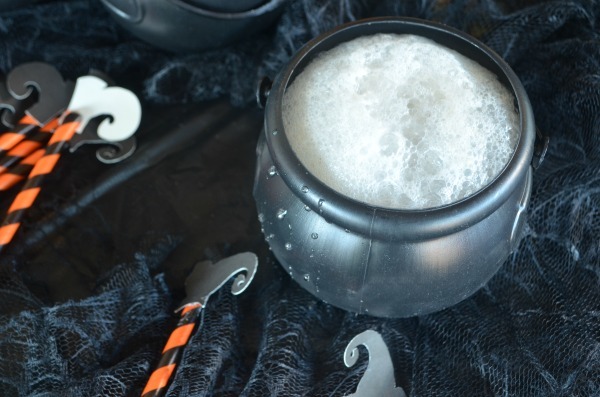 Pop 3-4 ice cream cubes into a spooky cauldron. 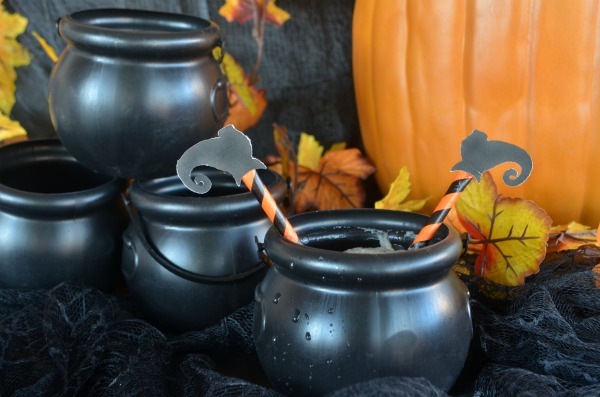 Top with ginger ale and watch your witches brew come to life. Add witches legs to take the spook factor to the next level. 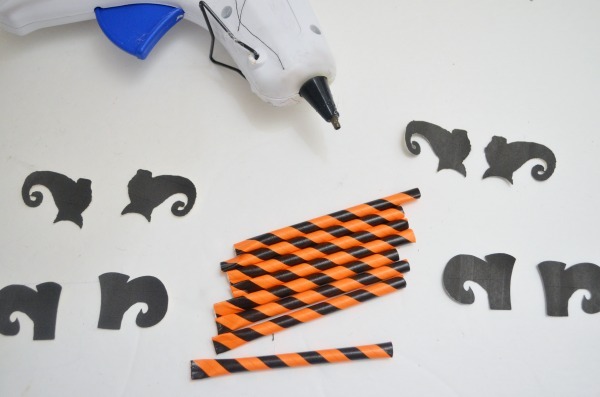 Hot glue boot cut outs to paper straws cut in half. I pinched the end of one side to give a flat surface to easily adhere the card stock boots. 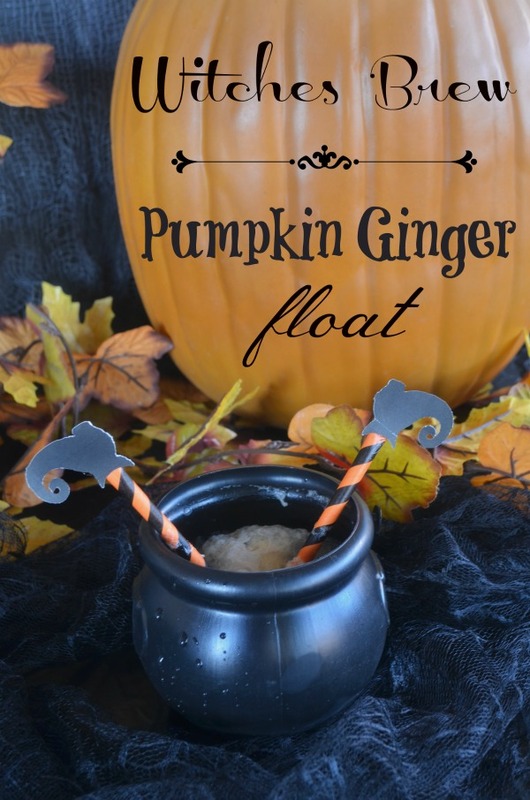 Serve up this spooky pumpkin ginger float alongside my monster floats for the perfect Halloween party refreshments! Mix together the vanilla ice cream, pumpkin puree, and spice. Add 3 small scoops (or ice cream cubes) to glass. Pour ½ c. ginger ale over the top.